These stylish Aquarapid Men's smile Low Waist Briefs combine exceptional levels of comfort and performance with a vibrant and colourful design. An excellent training choice for serious and competitive swimmers, these briefs have been meticulously designed and constructed to get the most out of your pool time. 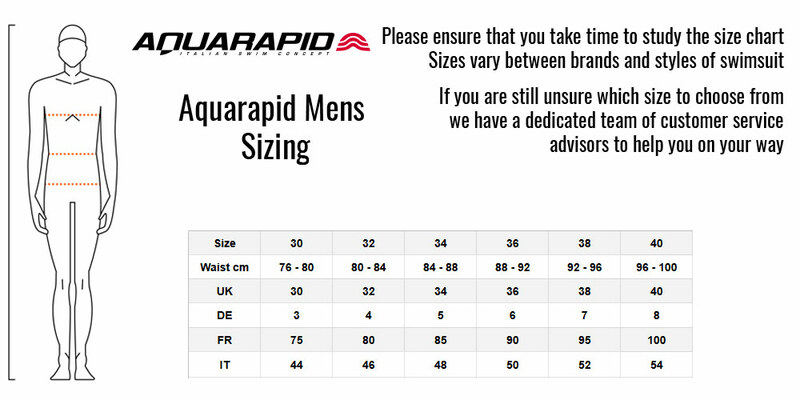 They are made from Aquarapid's high quality DEFENDER fabric, which is chlorine-resistant and extremely long-lasting to give you the perfect fit time and time again. These briefs have been designed with the racer's needs in mind. The hydrodynamic cut and low waist fitting give the legs and hips exceptional freedom of movement, while minimising friction. With Aquarapid's bright and vivid smile print sure to stand out poolside, these men's briefs really are the perfect all-round choice.